Top contributor Christian Cuvelier used a DJI Phantom 4 Pro drone to create this marvelous drone video of one of the top beach areas in the Seychelles, an archipelago of 115 islands in the Indian Ocean. Anse Lazio is located in the northern part of Praslin Island, the second largest of the group. Praslin is located to the northeast of Mahe, the largest of the Seychelles and home to the majority of its population. 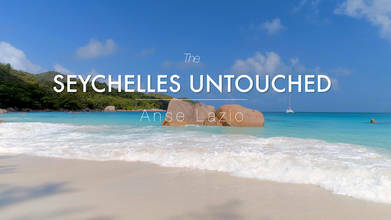 Anse Lazio was recently identified by the Lonely Planet as being one of the country's top beaches. Mike Israel is the founder, President and CEO of AirVuz, LLC. He is an avid drone enthusiast and RC pilot. He is also an enthusiast of geography and history, and loves writing about all of the amazing places where AirVuz community members fly.